After a whopping 30 years, a beloved action franchise returns via 2015’s Mad Max: Fury Road. 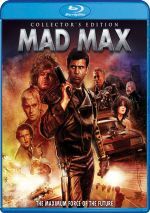 Nomadic vigilante/former cop Max Rockatansky (Tom Hardy) finds himself abducted by “The War Boys”, a crew led by despotic Immortan Joe (Hugh Keays-Byrne). He ends utilized as a “blood bag”, a portable donor used to help War Boy Nux (Nicholas Hoult) stay alive and vital. Imperator Furiosa (Charlize Theron) works as one of Joe’s chief assistants, but she leads a semi-revolt against him. Furiosa helps five of Joe’s wives – who are really just vessels to create Joe’s offspring – escape from his compound. 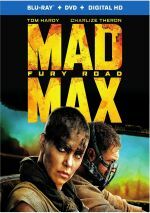 This leads to a massive chase, as Furiosa attempts to help the “wives” make it to a supposed Eden – and Max gets mixed up in the action along the way. One drawback to my gig on this website stems from the fact that I often discuss movies that have been out for months. Because I don’t offer feelings about films when they first hit screens, inevitably I’ll hear other opinions in the interim, and this occasionally pushes me to “review the reviews”. I don’t want to do that for Fury, but the level of praise it received kind of pushes me in that direction. As the Blu-ray’s case informs us, Fury was “certified fresh” on Rotten Tomatoes, and this isn’t an example of a movie that squeaked by with a 60 percent rating. Fury got 98 percent “fresh” on RT, a stunning number, especially given the film’s genre. Internet message boards came packed with glowing comments as well, as viewers seemed to fall over themselves to praise Fury as a classic action film. I saw Fury theatrically about a week into its run. Roughly one-third into the adventure, I turned to my friend and asked, “do you have any idea what this movie’s about?” She didn’t, and matters didn’t improve a whole lot as the plot progressed. Maybe I should put “plot” in quotes, as Fury comes with the thinnest of narratives – and this is where I find it tough not to critique the critiques. While I don’t demand that a movie spell out every little expositional bit and piece, I’d like something better fleshed-out than Fury, which depicts story and character elements in the most minimal manner. To me, this becomes a problem, but apparently fans view it as a positive. I read comment after comment that loved the “minimal storytelling”. Poor development and exposition is “minimal storytelling” now? When you like the movie, I guess so. Fury comes with other choices that received praise in a manner that perplexed me. The characters aren’t thin – they’re left to the audience’s imagination! The teal and orange palette isn’t a cliché – it’s the only option for this story, and director George Miller uses the colors in an innovative manner! Um, sure. When other directors make brainless, illogical, “style over substance” action movies, they get slammed. For some reason, when Miller does so, he earns acclaim as a genius. Even when Miller avoids some cliché “cinematic sins” – like shakycam – he substitutes others. Sure, we don’t find ourselves saddled with annoying handheld cinematography here, but instead, Miller zooms the camera like there’s no tomorrow. I couldn’t count the number of swooping shots the movie included, and they got old well before the film ended. Truthfully, I don’t find Fury to be a bad movie, but it’s not one whose appeal I can understand. I see as a film that makes little sense and that just throws one outlandish action scene at us after another without any real heart/consistency behind it. I didn't care about the characters and didn't find the action to deliver excitement, tension or much of anything else. It just felt like bam bam bam for two hours. I think Miller made a messy but sporadically entertaining action flick and I find the claims that it achieves some form of genius to be... well, perplexing. Perhaps someday I’ll become self-actualized enough to appreciate the supposed brilliance of Fury, but right now I view it as a flawed and often surprisingly dull action flick. Mad Max: Fury Road appears in an aspect ratio of approximately 2.40:1 on this Blu-ray Disc. From start to finish, the movie offered an excellent presentation. Typical for modern action flicks, teal and orange dominated the film’s palette. While that trend was predictable and tedious, I can’t complain about the replication, as the hues looked strong within their stylistic constraints. Blacks came across as dark and tight, and shadows appeared smooth and easily discernible. Sharpness worked well. Virtually no softness ever affected the shots, so the movie brought us terrific clarity and definition. No signs of jagged edges or shimmering occurred, and I saw no edge haloes. Print flaws also failed to materialize. All in all, this offered a fine visual presentation. I also felt consistently pleased with the excellent Dolby Atmos soundtrack of Fury Road. Because I don’t have an Atmos-equipped system, this played back as a Dolby TrueHD 7.1 mix, and it was a good one. The soundfield presented an active and lively piece that constantly engaged the various speakers. The film showed distinctive imagery throughout the movie that placed different auditory elements accurately within the spectrum and meshed them together nicely. Music provided strong stereo imaging, and effects popped up from the appropriate locations. Quieter scenes – which didn’t pop up often - displayed positive ambience, while the many action set pieces involved engrossing and vibrant imaging. With nearly non-stop movement and mayhem, this became one of the more active soundfields I’ve heard in a while. Most of the disc’s extras come from its six featurettes. 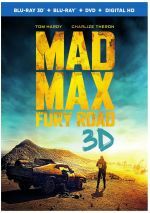 We find “Maximum Fury: Filming Fury Road” (28:38), “Mad Max: Fury on Four Wheels” (22:37), “The Road Warriors: Max and Furiosa” (11:18), “The Tools of the Wasteland” (14:26), “The Five Wives: So Shiny, So Chrome” (11:11) and “Fury Road: Crash and Smash” (4:02). Across these, we hear from writer/producer/director George Miller, production designer Colin Gibson, principal vehicle designer/storyboard artist Peter Pound, producer Doug Mitchell, executive producer Iain Smith, co-special effects supervisors Dan Oliver and Andy Williams, stunt coordinator Keir Beck, 2nd unit director/supervising stunt coordinator Guy Norris, visual effects supervisor Andrew Jackson, technical continuity Georgina Selby, fight coordinator Richard Norton, principal War Rig driver Lee Adamson, principal storyboard artist Mark Sexton, salvage artist Matt Boug, property master Andrew Orlando, costume designer Jenny Beaven, key armourer Lance Peters, and actors Charlize Theron, Tom Hardy, Nicholas Hoult, Josh Helman, Angus Sampson, Hugh Keays-Byrne, Nathan Jones, Rosie Huntington-Whiteley, Abbey Lee, Zoe Kravitz, Riley Keough, Courtney Eaton, and iOta. The programs cover the movie’s development and the use of storyboards, locations and shooting in the desert, vehicles, stunts and action, various effects, cast and performances, story/characters, production design, costumes and props. “Crash and Smash” includes no interviews, but it shows various forms of raw footage to accentuate the movie’s active use of practical material. Taken together, the featurettes offer a pretty good picture of the production. Given the format, they don’t gel into a particularly coherent overall view, but they tell us plenty about the shoot. Expect to learn a fair amount about Fury Road here. Three deleted scenes fill a total of three minutes, 21 seconds. We find “I Am a Milker” (0:32), “Turn Every Grain of Sand!” (1:49) and “Let’s Do It” (0:59). “Milker” shows a woman desperate to enter Joe’s inner circle, while “Sand” extends the launch of the hunt for Furiosa. Finally, “Do It” gives us a short intro to the movie’s climactic journey. None of these seem especially memorable, though “Milker” at least depicts the desperation of the downtrodden. The disc opens with an ad for Black Mass. No trailer for Fury Road appears here. A second disc presents a DVD copy of Fury. It includes none of the Blu-ray’s extras. Apparently many viewers find Mad Max: Fury Road to offer a thrilling, dynamic action experience. I do not. I think it comes with occasional excitement but it suffers from such thin story/characters that it never digs beneath the surface. The Blu-ray delivers excellent picture and audio as well as some informative bonus materials. 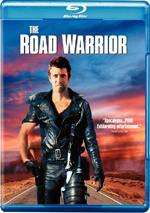 I still don’t get all the praise lavished on Fury Road, but its fans should feel pleased with this terrific release.